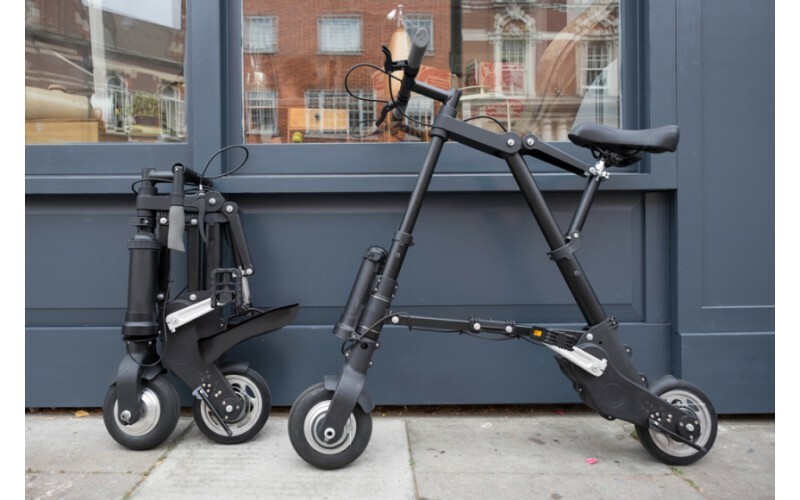 The all new A-bike designed by Sir Clive Sinclair and brought to market thanks to crowdfunding site Kickstarter could be revolutionary for urban transport. 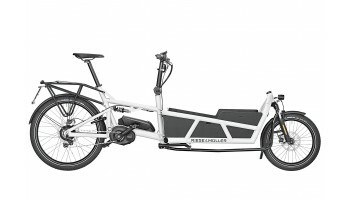 Foldable in 6 seconds this bike is practical in all senses of the word. 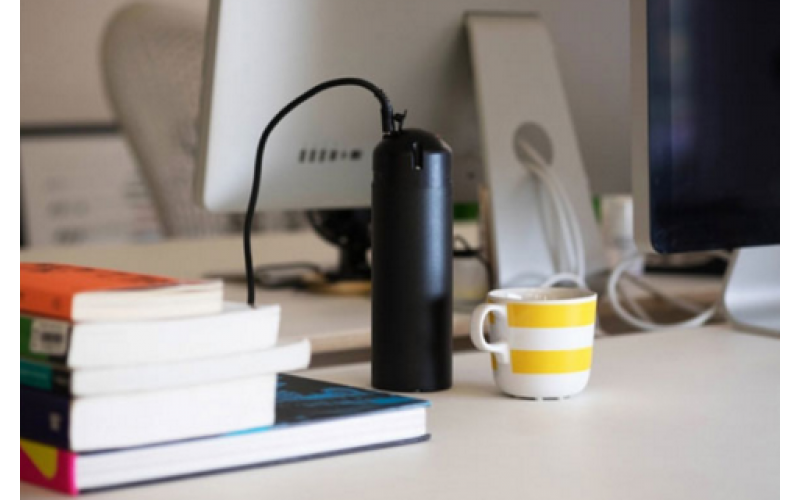 A small water bottle size battery will power you for up to 15 miles and then if need be you can unplug it and plug in another fully charged battery. 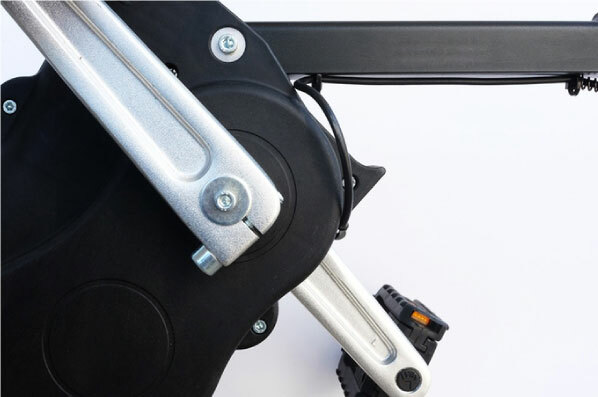 Never worry over security again thanks to the A-bike which will fold up to the size of a carry on suitcase. 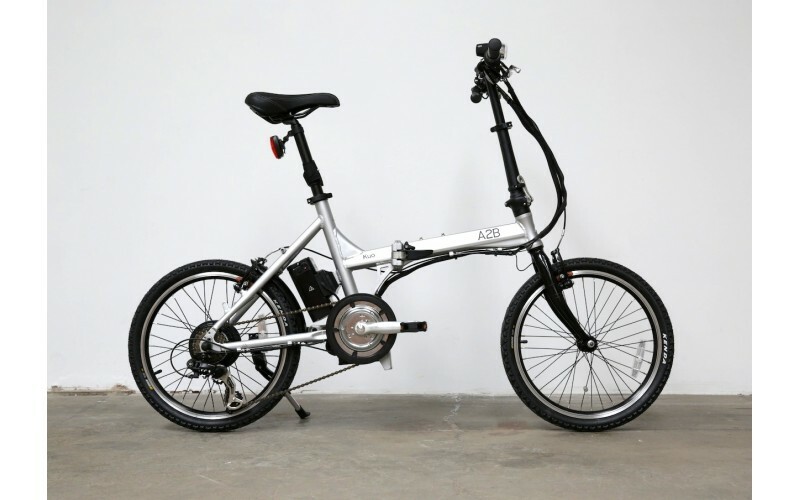 So the folding is brilliant, the interchangeable battery is great and it's affordable, so what are you waiting for? 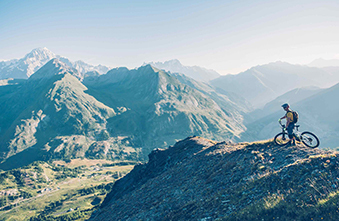 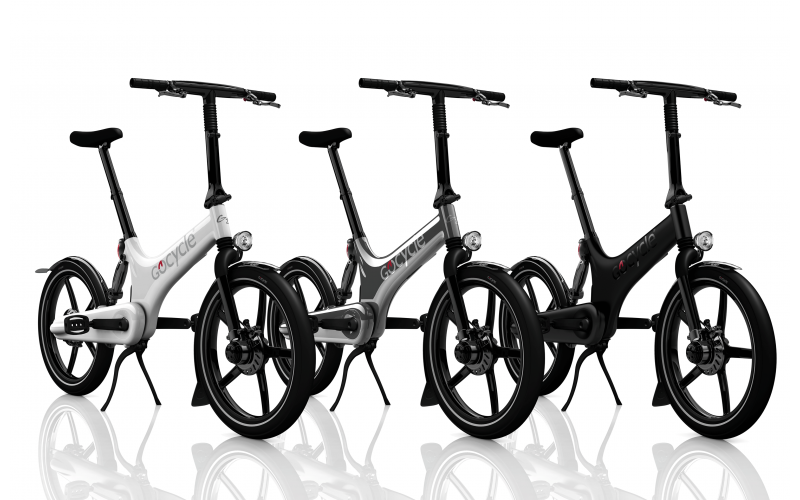 Fully Charged are one of the first eBike dealers to receive the A-Bike in the UK. 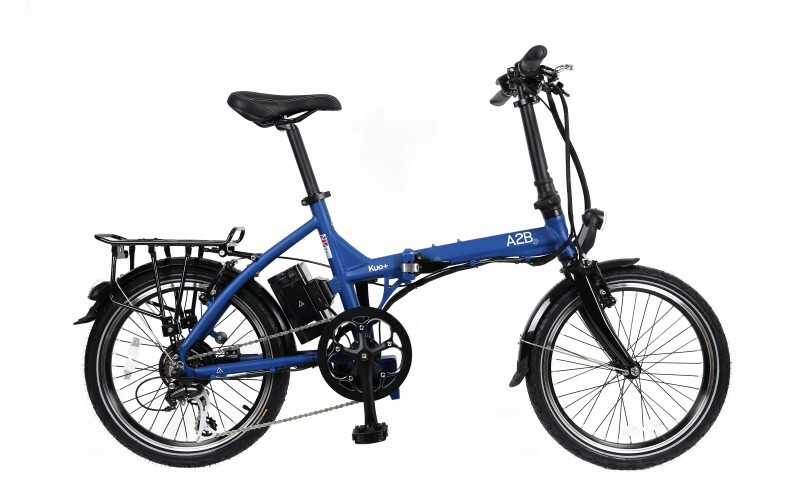 Contact our London Bridge store for a test ride!A-Bike offers you freedom and fun on your daily journeys, when folded it is the most compact electric bike on the market making transportation exceedingly easy. 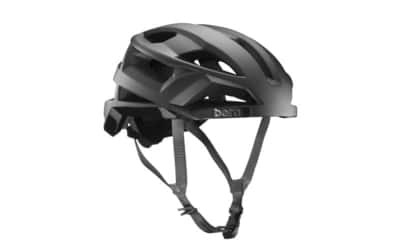 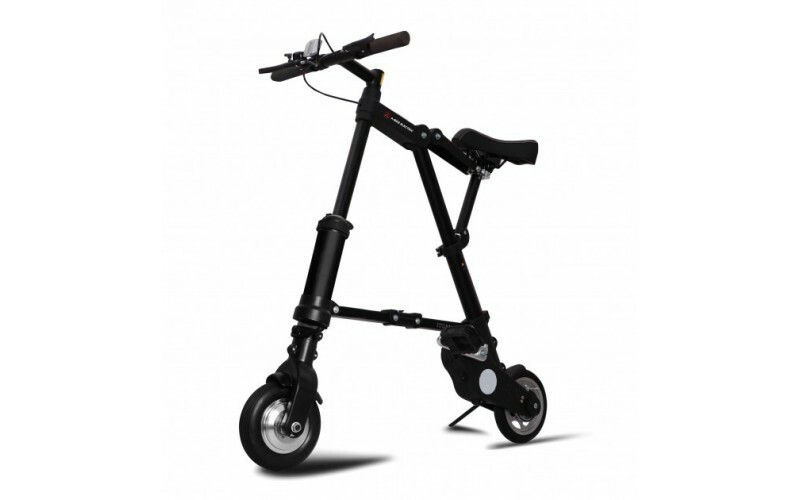 The lightweight detachable quick charge 24v battery means you can go faster and further. 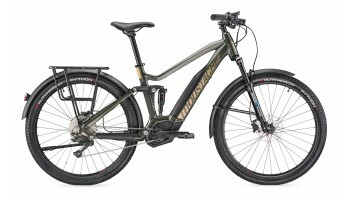 If you do run out of battery you can ride the bike unpowered for the remainder of your journey. 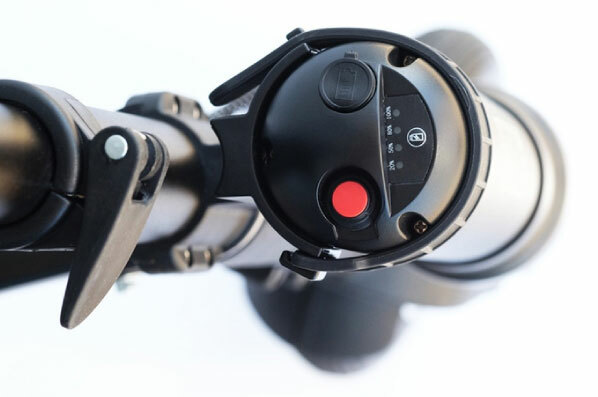 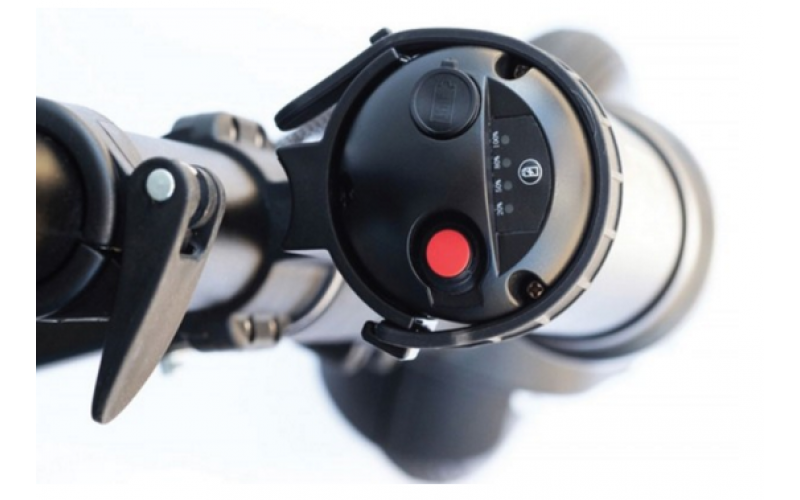 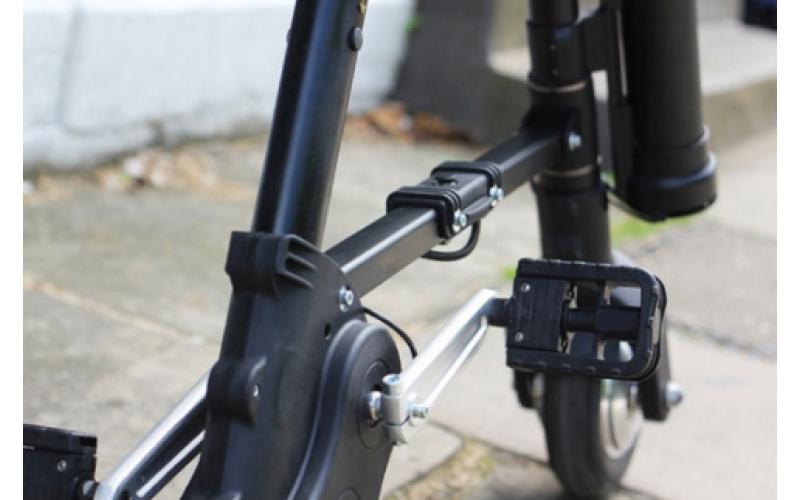 A-Bike has a simple red button to turn the motor on and off, next to the power button are 4 LED lights showing how much power remains before you have to swap batteries or recharge. 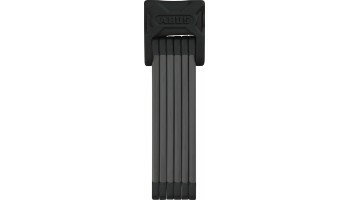 Swapping batteries is extremely easy, it requires no special tools and can be done in seconds. 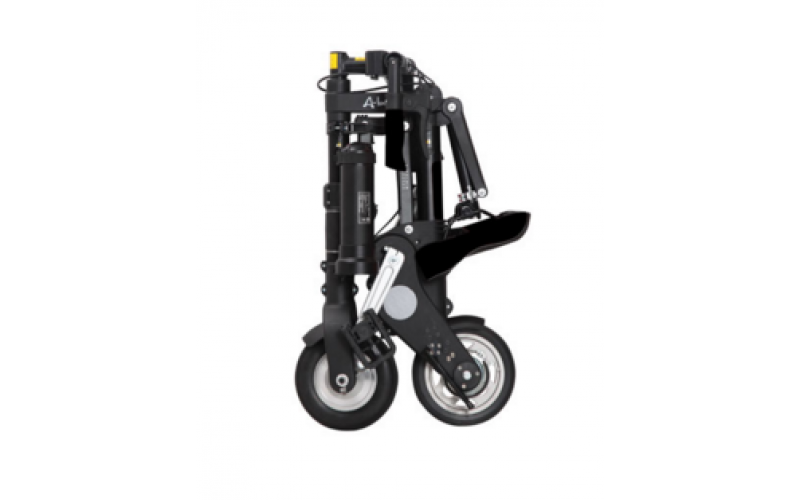 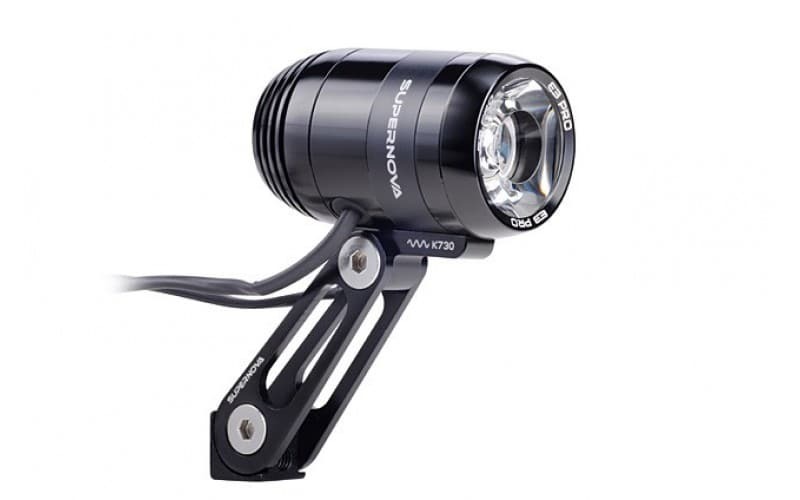 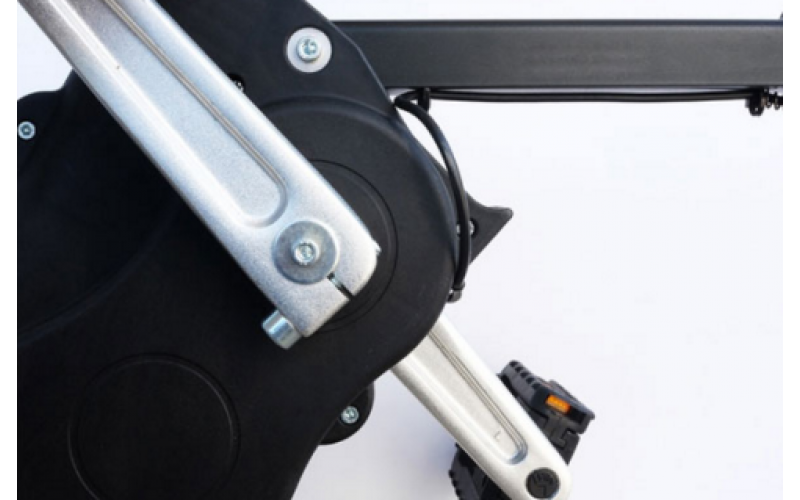 The dual chain drive and brushless motor is ergonomically engineered, it has been optimised so the rate of pedalling is parallel to the rate at which the wheels turn. 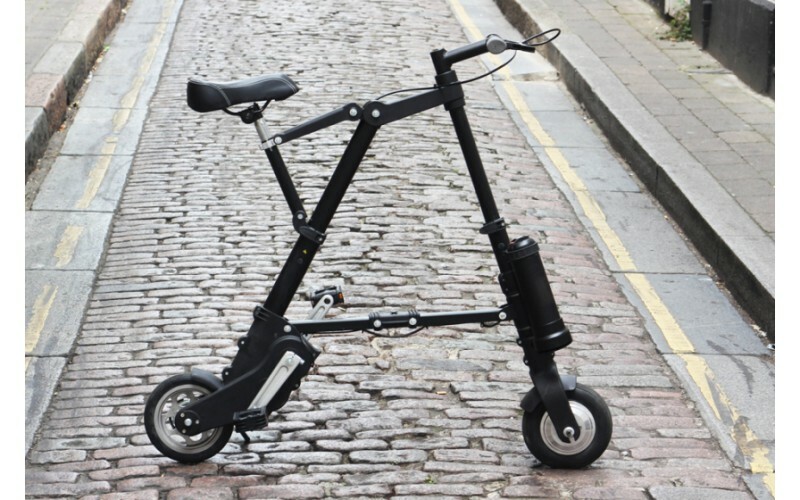 This means that although the wheels are small, it still pedals normally and efficiently. 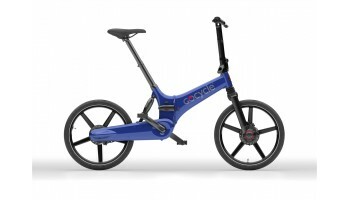 Great fold, but very small wheels and strange geometry which on bumpy roads makes for an uncomfortable ride.